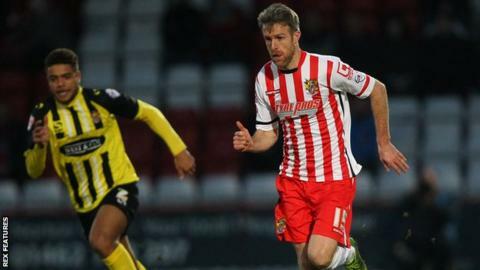 Midfielder Michael Tonge has signed a new 18-month contract with League Two side Stevenage. The 32-year-old former Sheffield United, Stoke and Leeds player has made 13 appearances for Boro since joining in October. He scored his only goal for Teddy Sheringham's side in the Boxing Day defeat by Crawley. Stevenage are currently 19th in the League Two table and take on Barnet at home on Saturday.